Two of the Bay Area's highest-profile water agencies enacted their versions of "mandatory" water restrictions on Tuesday. 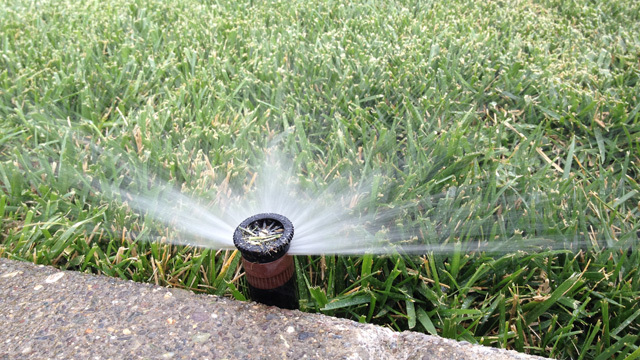 Customers of the San Francisco Public Utilities Commission are facing an edict to cut outdoor water use by 10 percent. But as a practical matter, the order applies mainly to the Commission's 1,600 customers with separate metered water accounts for landscape irrigation -- golf courses, parks and the like. Those customers who fail to comply could see their water rates doubled. SFPUC General Manager Harlan Kelly called it, "a small, but important step." San Francisco's water cops will rely on whistleblowers for broader enforcement. Customers with three reported violations could be fined $100 per day, but in general, SFPUC "will be focusing on education and training, not policing and fining," according to a Commission news release. Spokesman Tyrone Jue says that after a slow start, SFPUC customers (in San Francisco and three other Bay Area counties) have tripled their water savings since late June and are on track to attain an overall 10 percent reduction benchmark by Labor Day. The latest restrictions don't take effect until mid-September. Meanwhile the 1.3 million customers of the East Bay Municipal Utilities District have their own new set of mandatory water restrictions. Actually they're the same voluntary rules that the District already had in place, but are now deemed mandatory under its newly declared "water shortage emergency." But officials at EBMUD don't plan to impose fines on water wasters. "We're more of the carrot versus a stick type of agency," says EBMUD spokeswoman Andrea Pook. She says residents are encouraged to call the District and report wasteful watering when they see it. On average, EBMUD customers use 40 percent of their water outdoors. When customers are fingered for profligate watering, Pook says her agency's approach is to, "talk with the people first," followed by a letter. "Certainly we do have the right to put a flow restrictor on or even shut someone's water off if they are a flagrant water abuser." Pook says EBMUD customers as a group have already surpassed the 10 percent savings goal that the District has asked for previously and for now, that's enough. Pook says that EBMUD water supplies are in better shape than many, so from her agency's standpoint, "We're not looking at Year 4 of drought, we are in Year 1 of drought. We feel like we're doing our homework to plan ahead, but you never know."